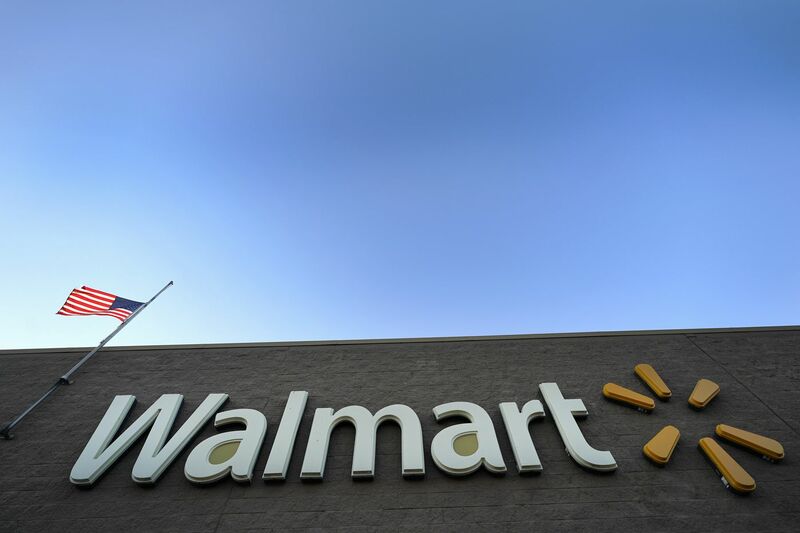 FILE photo shows the signage outside a Walmart Supercenter. (Bloomberg) — Walmart Inc. pharmacies will no longer be part of the networks where most consumers with CVS Health Corp. drug plans can pick up their prescriptions, after a dispute between the two giant companies over pricing. CVS is one of the largest administrators of prescription-drug plans in the United States, covering more than 93 million people. While known mostly for its drugstores, CVS’s pharmacy-benefits management division, CVS Caremark, has come to account for most of its revenue. It administers drug coverage for many large employers as well as numerous Medicare and Medicaid beneficiaries. Walmart, the world’s largest retailer, is also one of the largest pharmacy operators in the U.S. The company was demanding higher reimbursements from CVS for its pharmacies, CVS said in a statement announcing the split. Amid a larger debate in the U.S. over drug prices, pharmacy-benefit managers such as CVS have come in for criticism from consumers, lawmakers and regulators for a lack of transparency about prices and rebates they negotiate with drugmakers, as well as how the construct their formularies, or lists of covered medicines. CVS said the rates Walmart was seeking would have led to patients paying more for their medicines. CVS shares closed down 2.45 percent, or $1.60, to $63.74 in New York. Shares of the company, which is merging with health insurer Aetna Inc., have declined about 24 percent since hitting a 52-week high in January 2018. CVS is one of the biggest U.S. pharmacy chains, with almost 10,000 locations. Walmart dispenses drugs in about 4,700 locations, and has flirted with getting more involved in the health-care industry. It has looked at offering wellness services and other offerings that will become a key part of CVS’s business with its takeover of health insurer Aetna last year. Walmart has been looking to expand its health business for years. It recently hired a former senior executive of insurer Humana Inc. to lead its health-care arm, leading to speculation that the companies could forge closer ties. Walmart and Humana have explored ways to deepen an existing health-care alliance, a person familiar with the matter said in March. The companies already work together on prescription plans for Medicare patients. The split won’t affect Medicare beneficiaries in CVS’s Part D drug plans. It also won’t apply to Walmart’s Sam’s Club stores, CVS said in the statement. CVS said the move won’t materially impact its 2019 results. News of the split was reported earlier by the Wall Street Journal.